Item # 303013 Stash Points: 2,795 (?) This is the number of points you get in The Zumiez Stash for purchasing this item. Stash points are redeemable for exclusive rewards only available to Zumiez Stash members. To redeem your points check out the rewards catalog on thestash.zumiez.com. 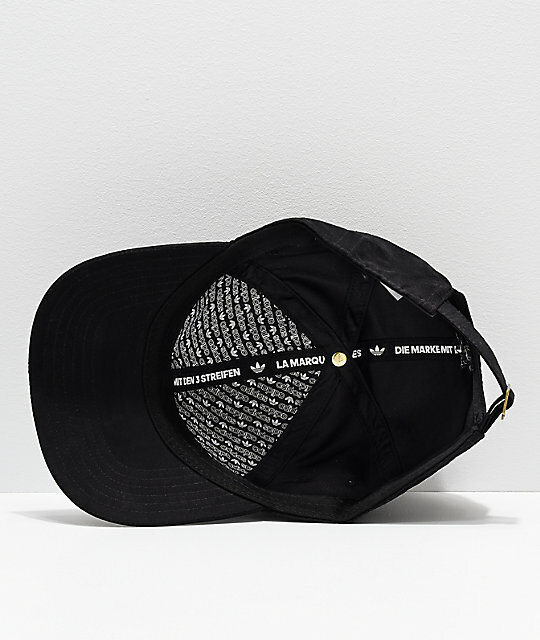 Get a signature look with athleisure flair in the adidas Originals Relaxed Metal Black & Gold Strapback Hat. This all black, 100% cotton, six panel strapback features a gold colored metel adidas emblem front and center for a prominent branded style. 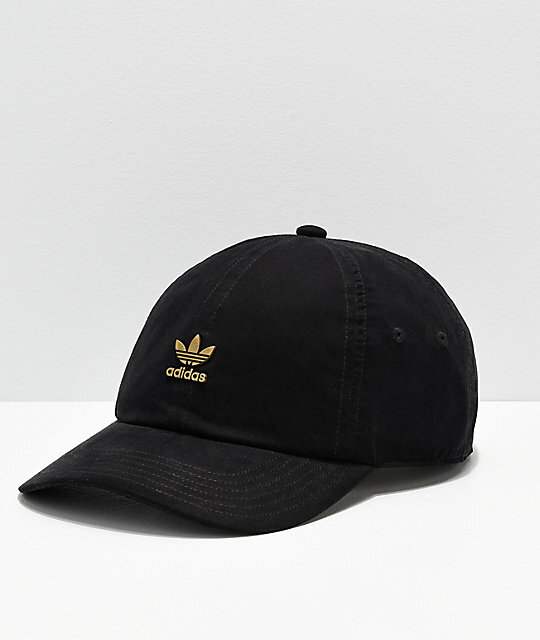 Originals Relaxed Metal Black & Gold Strapback Hat from adidas. 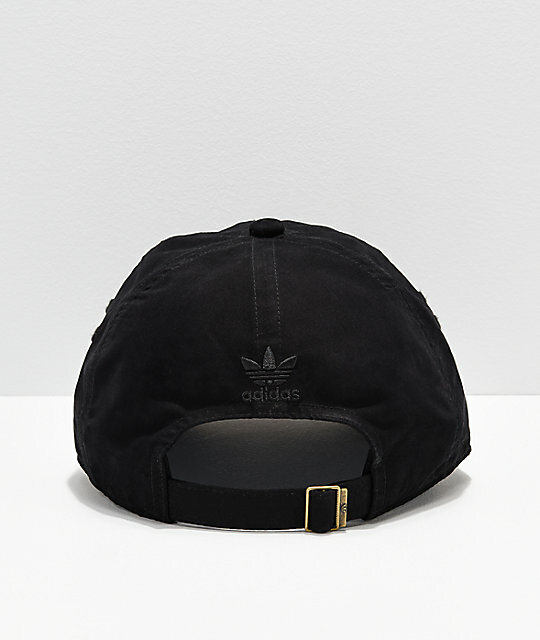 Unstructured six panel crown with a sewn on metal adidas emblem at the front.